Create a custom moving experience around your budget and schedule. Easily request a free moving quote from multiple moving companies in Santa Clarita. Book a licensed moving company at an affordable hourly or fixed rate. 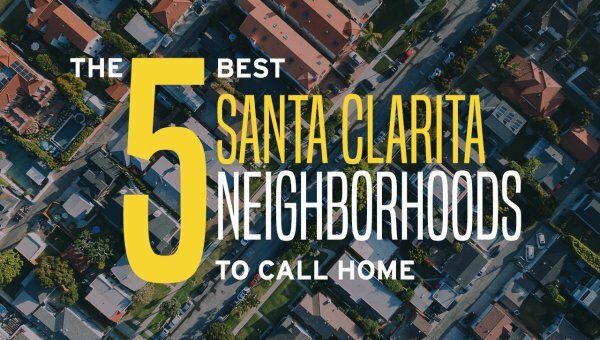 From Castaic to San Fernando, we cover local moves across the entire Santa Clarita Valley. If your move takes you to a new state, we’re licensed to help with that too! Find great rates on secure storage facilities for your home or office goods. Our professional movers and packers can help you pack or unpack for a seamless relocation. Our efficient moving team lets you focus on business while we do the heavy lifting. Get a free moving estimate when you call now! Moving doesn’t have to cost as much as your mortgage payment. Cheap Movers Santa Clarita brings you quality moving services for less! 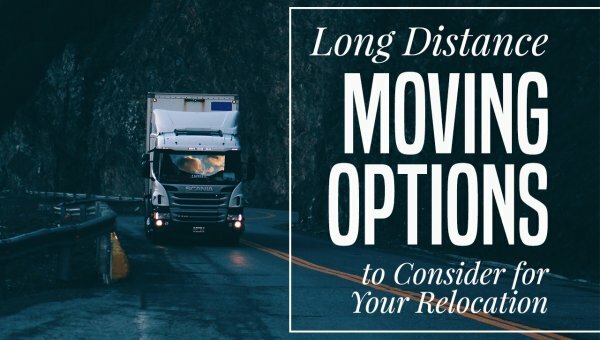 If you’re making a move, it helps to have professionals to handle all the relocation logistics. We work with locally-owned moving companies with extra capacity to help you find better rates on your move. You choose the desired services, then get a free quote on your move. Now you can hire the help you need without spending a fortune. We know your moving needs are unique to you, which is why our team works with you to customize your move. We offer a variety of moving experiences, from hourly help with loading or unloading to full-service moving where our team helps you pack and unpack your belongings. Cheap Movers Santa Clarita also offers storage, commercial moving services, piano moves, and long distance services. Whatever your moving needs, our team of moving experts are here to assist! Browse through our moving blog and find the guidance you need to prepare for your relocation. Not sure how to even start prepping for the big day? 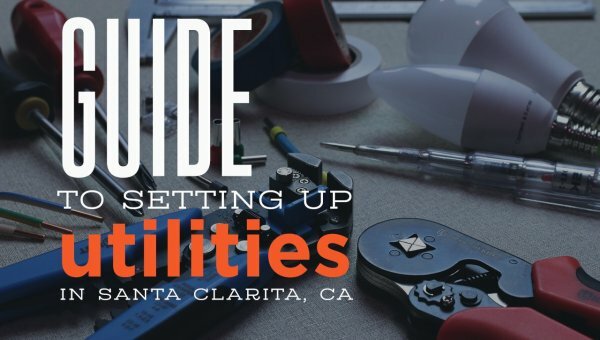 Our blog answers everything from how to move hanging clothes to which utility providers serve the Santa Clarita Valley. 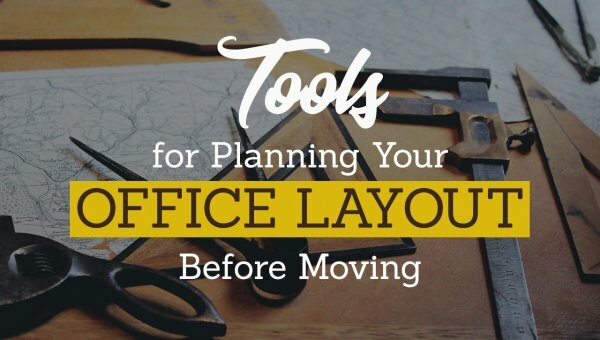 These helpful checklists and tools start your move on the right foot. With experts on your side, moving isn’t as hard as you might imagine! At Cheap Movers Santa Clarita, we think you deserve the help from a licensed, professional mover. Though there are plenty of fly-by-night operations in the moving industry, you should never entrust your move to just anyone. We take the time to vet movers for licensing and insurance, ensuring you only get quotes from real, reputable companies. These qualified movers have what it takes to safely move your belongings, and you never have to worry about who’s handling your things. Instead of fretting over moving day, you can trust the professionals to handle your moving logistics. Call today to discuss your moving needs with a representative, and get a moving package tailored to you. We’ll give you a run-down on pricing for the various moving services, or schedule an in-home estimate with a moving professional. Once your move is scheduled, you can rest easy knowing that our team will be there on time to make your relocation fast and efficient. Moving takes a lot of energy and effort. It requires a person to be very organized, too. When packing your belongings for a move, you won’t want to forget to include a First-Night Box. It will see you through your very first night in your new home. What is a First-Night Box? A First-Night Box is exactly what it sounds like, a box that contains the items that you would need the first night that you stay in your new home. It’s packed inside your vehicle with you so that it doesn’t get lost in the stacks of boxes the movers brought in. Why Pack a First-Night Box? A First-Night Box alleviates stress by providing you with the things you need to get your day started. 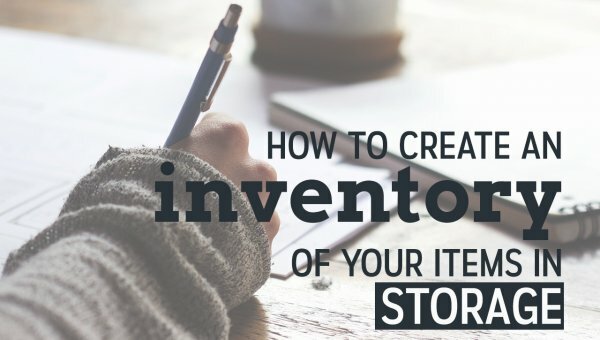 With everything you own packed in various boxes and placed throughout your house or apartment, you’d make yourself crazy looking for specific items. When you think to pack a box for your first night, you eliminate the need to do that because everything is stored in one convenient place. What Items are Considered Essentials? Toilet paper. This is a no-brainer. You’ll need it more than anything else you think to pack. Garbage bags. They will be among the most versatile things that you pack. You could use them to carry items, cover things if it rains, or to pull trash duty. A manual can opener. If you plan on making any meal that comes in a can, you’ll need this to open it. Think soup, canned pasta, and even fruit. Dish soap. For quick clean-up. A few squirts can take care of many dirty surfaces and dishes. First Aid Kit. In the event of an emergency, this will be a true lifesaver. You can treat minor cuts, scrapes, and burns with what you have in your kit. A spare set of house–keys. What if you lock the only set you have in your vehicle or inside the house or apartment? It’s costly to have a locksmith come out and retrieve them for you. Snacks and beverages. This will tide you over until you can get to the grocery store. It will also help you stick to a routine with your kids. Medications. If anyone in your family takes prescription medications, they need to be carried with you. You don’t want to risk them being packed away in another box. Shower curtain. That way everyone can get cleaned up without splashing water on the floor. It’s especially important if you need to return to work right away. Towels. You’ll want one for each member of the family. That way they have a towel until you can get to the ones packed. Shampoo, conditioner, and soap. Again, this is for cleanliness. Taking a shower after a long day helps relax you. A change of clothing for everyone in the family. This includes your spouse and kids. Have them wear the shoes they have on, so you don’t have to pack another pair. Information about the utility companies you need to contact. Include phone numbers so you can reach them quickly. A tool-kit. It helps you put together furniture fast. Important records. You don’t want to risk losing these so make sure to keep a folder with them in it in your box. Your First-Night Box provides you with everything you need to get through your first night comfortably and without issues. 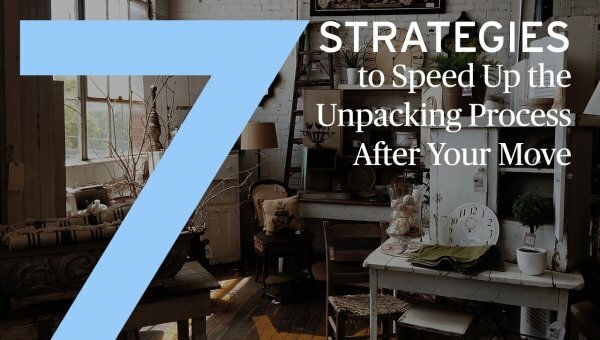 You’ll wake up from a good night’s sleep and be ready to unpack all those boxes. Because you thought to put together a First-Night Box, you won’t lose valuable time searching for things like your family’s toothbrushes or your spare phone charger. Moving can be an overwhelming process. The chore of packing alone takes a mental, as well as a physical, toll. Fortunately, there are several ways to make packing easier, so you’re all ready to roll when the big day is finally here. Now is not the time to worry about using too much wrapping material. If you don’t provide sufficient cushioning to protect your belongings, you’re only setting yourself up for heartbreak down the road. Fear not, though – many household items can be repurposed into packing material. Use cotton balls or toilet paper to cushion makeup compacts or small jewelry boxes with mirrors. Wrap dinnerware in shirts from the closet. Cover any liquid supplies with plastic wrap to avoid leakage. Newspapers also provide good support, but be careful – the ink may leave stains. Wrap knives and other sharp objects in oven mitts or potholders. Vacuum seal bags are available at online retailers such as Amazon, and are well worth the cost. 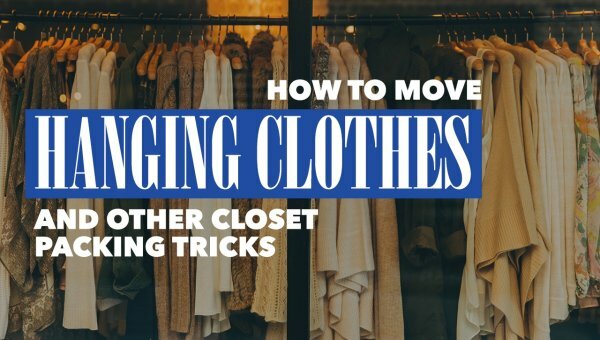 Your clothing will pack neatly and efficiently, freeing up much-needed box space. If possible, get a different size or style of box for every room of the house — or better yet, color code them so you know exactly where to put each box when moving in. Colored labels can be found at several online retailers, such as the Container Store. Whether this is an option or not, be certain to label boxes on the side, so you can tell their destination without moving any from the stack. Gather everything you’ll need for the first day or two, and put it in an overnight bag or suitcase that you can transport in your vehicle or the cab of the moving van. This will eliminate the need to paw through boxes on your first night in the new house. This will make moving bulkier objects, like sofas or heavy chairs, that much simpler. Use older linens that you don’t mind parting with, in case they become badly soiled or torn in the move. For furniture that needs to be disassembled before moving — such as tables or bed frames — gather all screws and washers in a plastic bag, then tie the bag to one of the legs or another part of the frame. This way, you’ll have everything you need for reassembly right at your fingertips. Pack everything from the fridge in coolers, and defrost the unit at least a day before the move. This will eliminate the risk of leakage and potential foul smells. For more tips on defrosting, try this website. 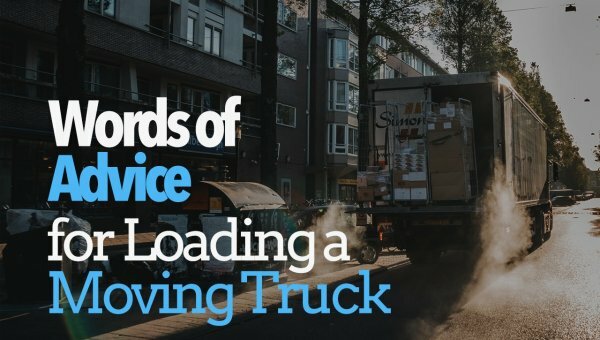 Following these tips will make moving day a pleasure, rather than a hassle. Best of luck to you in your new home!